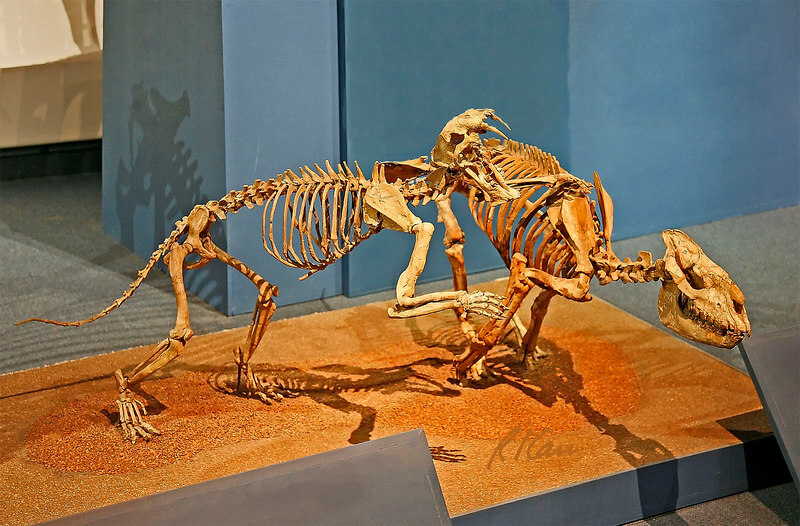 Prehistoric animal skeleton: Ancient Cat, dinictis, attacks running rhinoceros, hyracodon. Middle Oligocene Period, 32 million years ago. Brule Formation, Nebraska. Los Angeles County Museum of Natural History. January 2006.